In my prior project update I mentioned the all grain setup, but I had this Oatmeal stout extract kit I purchased from Austin Homebrew Supply that I need to brew. I have told T I would brew her a beer for quite some time, and she enjoys stouts. I also picked this specific kit because it was shelf stable. I wanted to make sure I had something I could be ready to brew anytime, that wouldn’t suffer from sitting around until I had time to brew. 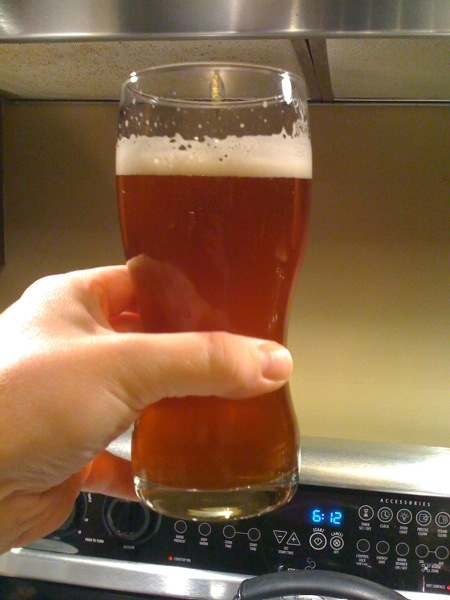 I was hoping to brew Saturday evening, but the weather conspired against me. While at the home brew shop picking up the final pieces for the keggerator, I decided to buy liquid yeast. After getting home the yeast was already a little swelled, so I burst the activator with the intention of brewing that evening brew. 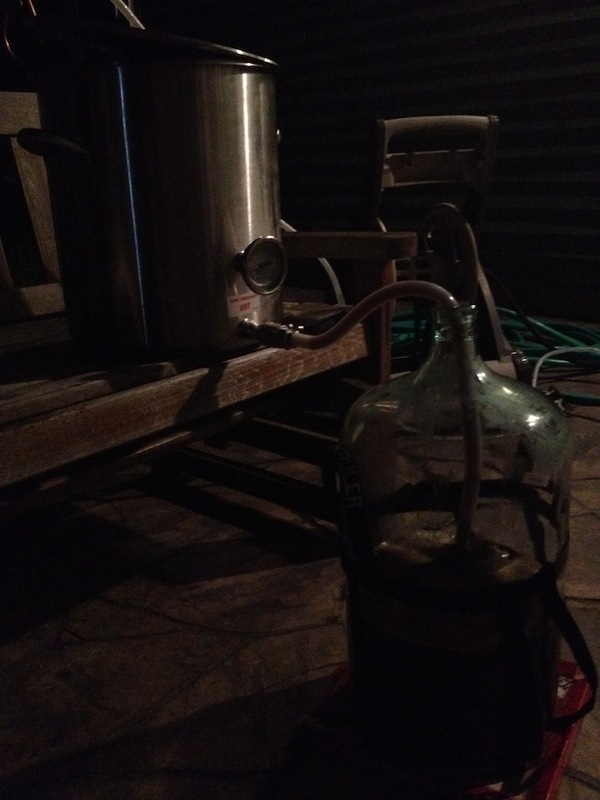 By the time I was ready to brew, rain was eminent. Once again, I’m left with slightly less optimal yeast. Having to postpone I cleaned stuff and prepped for tonights brew night. Which lead to a funny conversation with T about how much time I spend cleaning stuff for brewing, and how little I spend cleaning other things . Put 2 in brew pot. Add grain, and steep at 155 for 25. Fill up swamp warmer w/ water. Fill 5g pot w/ rest of water to top of boil kettle. Remove steeped grains and feed to chickens. Top up water to 5.49 gal. Add DME while bringing to a boil. @0 add 3/4 oz nugget. Chill to 65 or as close to as possible. 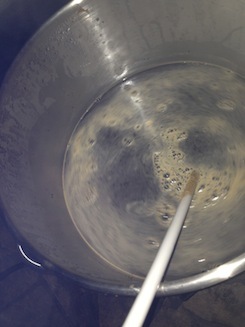 Aerate while bringing wort to basement. Set in water bath set at 68. 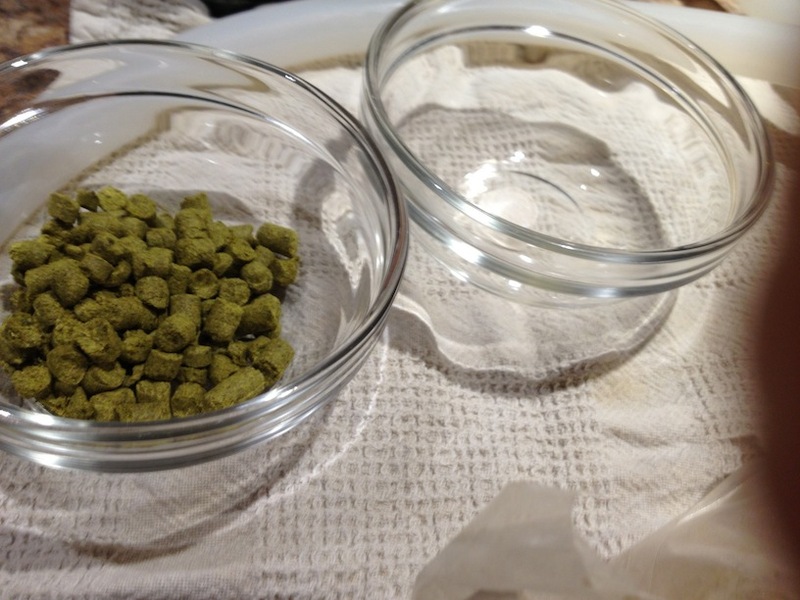 Some things went ok, like hitting temps and times for steeping and hops. There are some things I’m still struggling with, cooling, trube, and boil volumes. I missed my post boil volume significantly, and transferred a ton of crap when I went to primary because I wasn’t able to cool effectively, w/out stirring up a ton of trube. Things I’ll do different next time. Steep in 5g pot to allow warming extract and water during steeping time. Either filter trube, or chill more patiently. All in all, no fatal flaws, and I hope it turns out well, as we’ll have guests trying it labor day.